Just ordered the maze using the link on wkc to amazon. It’s only $20 right now. My next cheese smoke will be executed with navy seal precision. So I was too impatient and had to try the cheese. Glad I did. I’ve learned a few things. It did work and tastes good but I will change a couple things. I started with apple and threw a handful of hickory chips later. Hickory is too strong for my taste. Also, cheese smoking is a delicate process and I was a little arrogant in that I Rambo’d it my own way and should have used some of the more established ways for smoking. 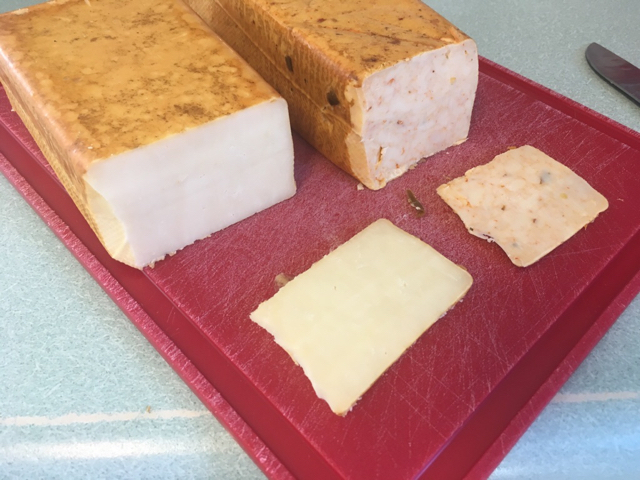 Having my temp too high at times caused the cheese to sweat which caused the oils of the cheese to be in the surface and combine with the smoke for an unpleasant flavor. Luckily most of the unpleasant smoke laden oil stuck to the vac bags and I’ve resealed in new. 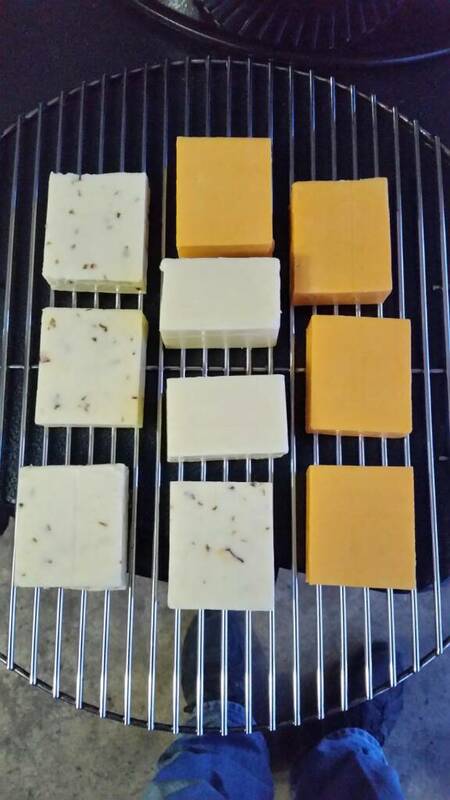 The habanero cheddar is incredible smoked or not. 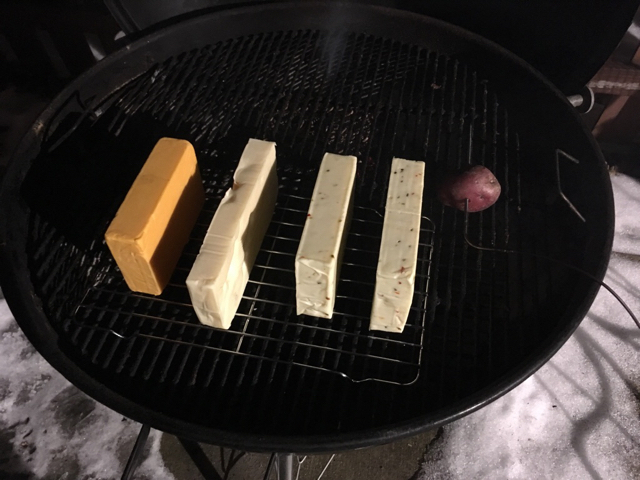 So the moral of the story is cheese smoking requires attention to detail. Do not drink a six pack and start chucking cheese on the smoker. This way works but will lack a certain quality in the end product. Luckily they turned out pretty good but my next time will be better. I was also cooking wings and making Mac and cheese at the same time so I was fairly busy. Don’t give up on this yet! You need to let it rest much longer than a a couple days to truly check the results. Give it another 10 days in the fridge then try it again and I bet you’ll taste a substantial difference. Just did 2 batches for the first time this week. Used amaz n tube with apple and cherry pellets. Did 4 hours and hoping that’s not too much. What I’ve read is that hard cheeses take that long. Got them sealed and waiting 2-3 weeks. those look great wessonjb. That's more the color I'm going for. I just ordered the a-maze-n maze thing. I was wondering if I should have bout the tube. Hopefully it will work out. I just got my Amazen Maze last night. 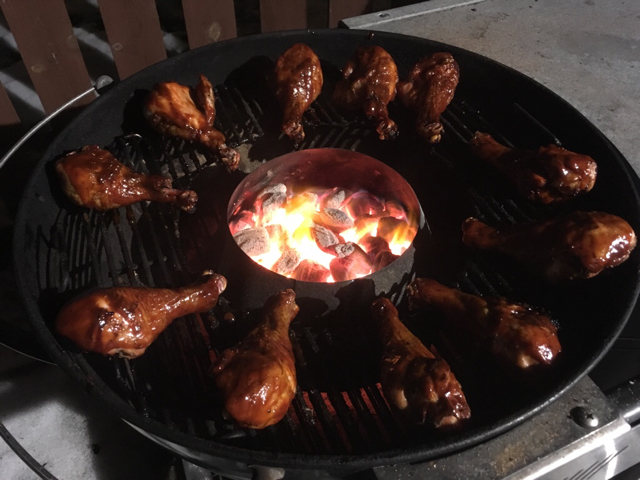 Testing it out in the Wsm with the pitmaster blend pellets. Plus 2.5 #s of cheese. Kneab, that’s awesome, I’m looking forward to using it. 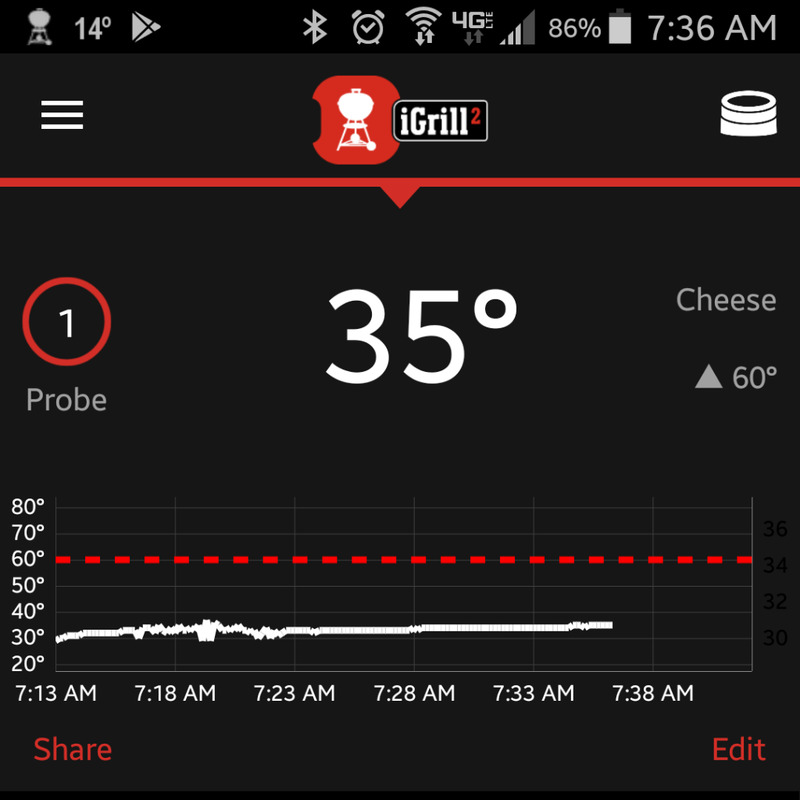 I was curious to know what temp would be too cold before the cheese would freeze instead of smoke. Looks like somewhere around 10 degrees outside temp would be the limit without adding a little heat to keep from freezing. Pellets ran for a little under 3hrs. All shrink wrapped and thrown in the beer fridge. I'll report back in 2 weeks. I’m surprised the temp creeped up to 51. So would you say the maze warms the smoker up approximately 30 degrees over outside temp? That was with one side of the maze lit correct? 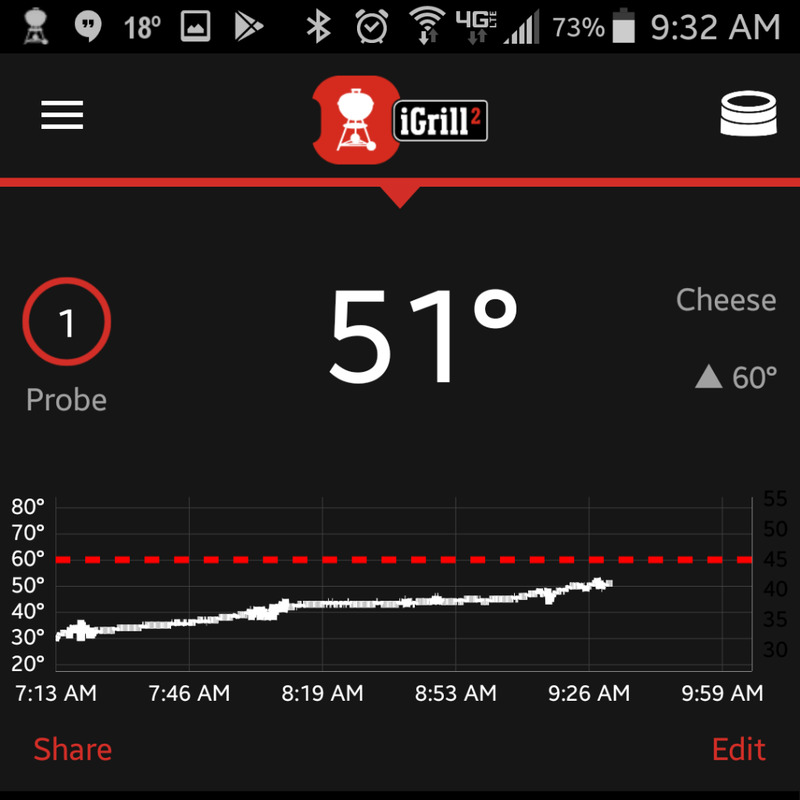 If that’s the case, then cheese smoking can happen anywhere between 5 degrees to 55 degrees outside temp approximately? Thanks for tracking your temps. That really helps to gain an understanding. Yup I was surprised by the rise too. 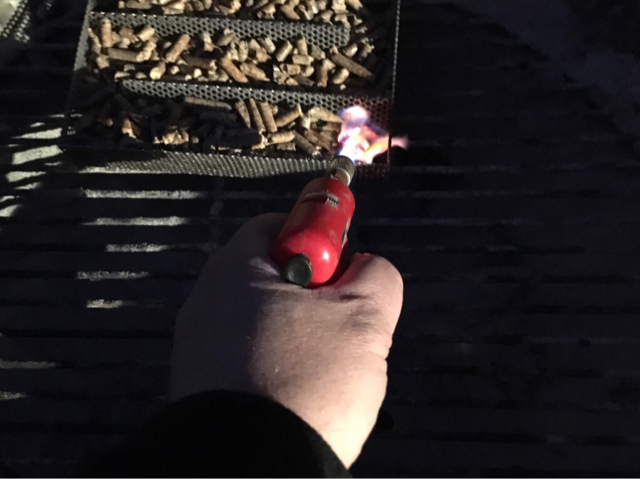 Only one row of pellets, even with the top, lit on one end. 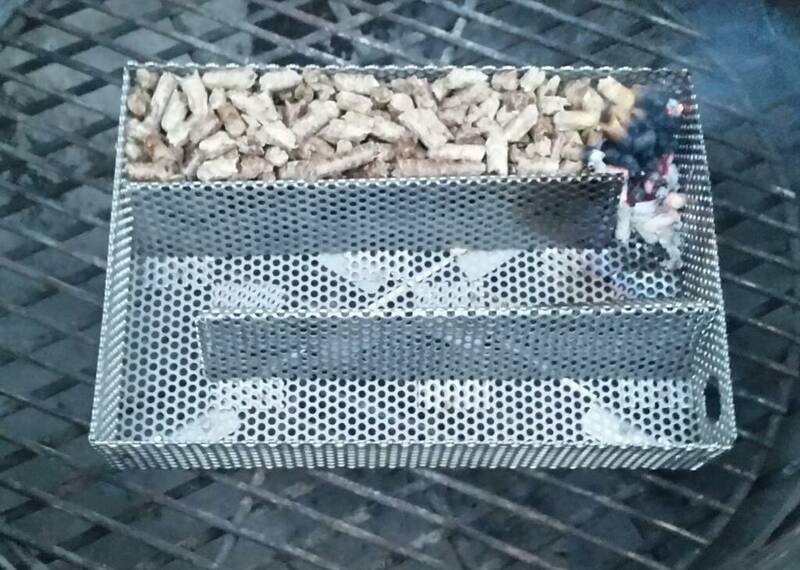 I’m not a gadget guy but the a-maze-n pellet maze or equal is an absolute must have accessory for cold smoking. It was rock solid and only burned 1/3 in 4 hours. Works perfectly. I used the 26r and it held very consistent at around 20 degrees warmer than outside temp. It was 34 degrees outside and it held around 50 the entire time. I lit one side of the maze and it put out plenty of smoke. The cheese didn’t get a lot of color but I can tell it took on a lot of smoke from a small bite I took. I’m doing it right this time and waiting at least a week before I try it. 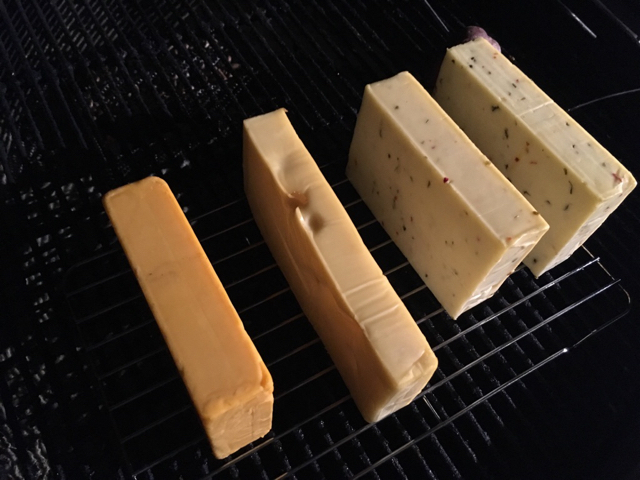 I did one sharp cheddar, one Swiss, and 2 pepper jack. I used cherry pellets. Yeah I think it look great too! All these cheese smokes really have me want to try this out. I don't have a vacuum sealer though, can you store it for the weeks needed without one? 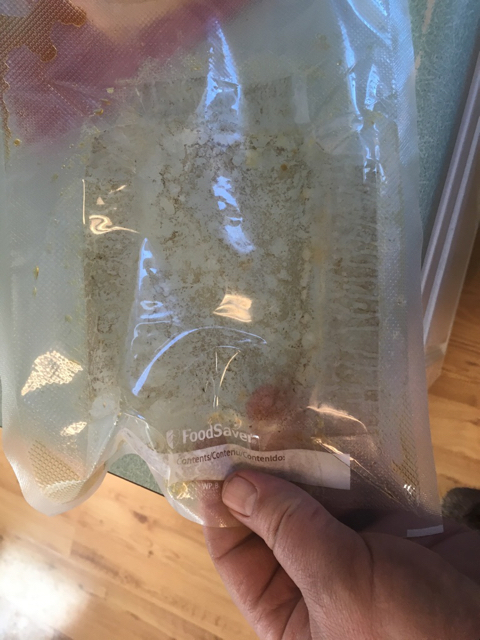 If you dont have a vac sealer you can use zip lock bags. Fill a pot with water, put your cheese in a zip lock bag, Seal it up, but leave a bit open. Dip it in the pot slowly. The pressure of the water will push the air out of the bag. At the end seal it up and your good to go. I noticed the Amish cheese store that I go to once in a great while uses plastic wrap. Howtobbqright used plastic wrap in his cheese video. I should have done one with plastic wrap to compare the flavor with the vac bag. I will switch to plastic wrap to save the vac bags if there is no benefit but I would like to test this. 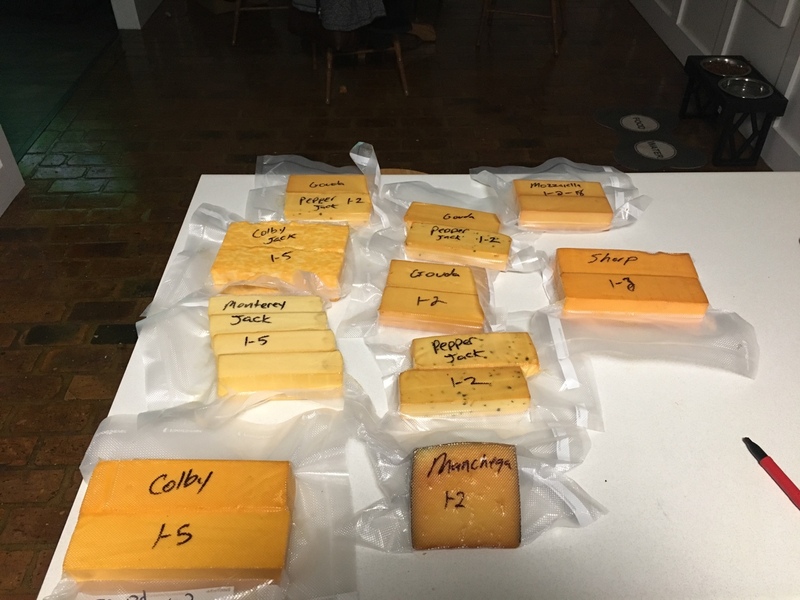 I've been putting my smoked cheese in ziplock bags for many years. The oil residue from the smoke protects the cheese from getting mold, as long as I haven't touched the cheese with my hands. I found mold will start on the places I've touched, so I invert the bag over my hand to grab the cheese. 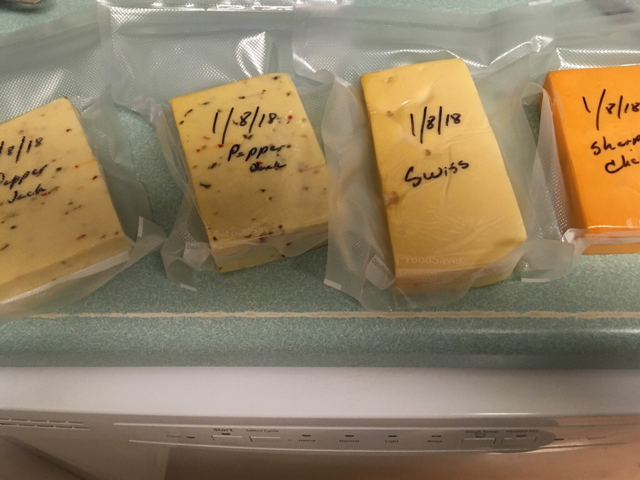 Have had cheese last more than 2 months in the fridge, as long as it has not been cut into. 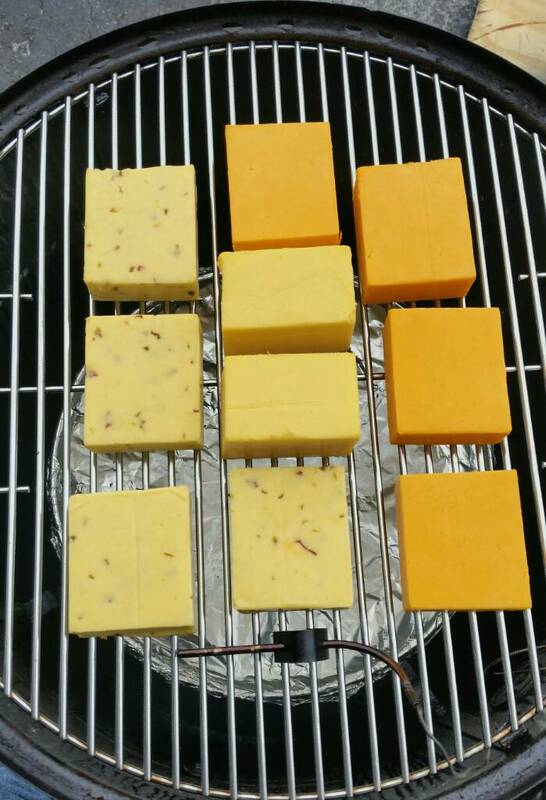 That's why I cut the cheese into smaller chunks prior to smoking, that way it can be used up quickly. I have some 2 year old cheese, and there is no mould. Do not wipe the oil off. Once your cheese is smoked leave it on the counter for a while... up to 1 day then wrap it tightly with plastic wrap. It will last.